The Nuctest NT-6102 X, Gamma Radiation Dose alarm device uses the latest low-power embedded microprocessor as a data processing unit, the detector uses a highly sensitive GM counter. Instrument has a fast response, wide measurement range of features. 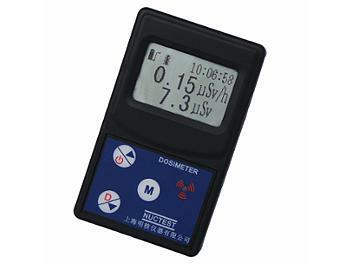 Can monitor X, Gamma rays and Beta radiation, a general-purpose personal radioactive Alarm. - Back-lit display for easy use in low light situations. - Power supply: one CR123A rechargeable battery, standard charger.